This movie introduces the topic of coasts by looking at a variety of landforms that pupils will study. To enlarge the movie click on the tab in the bottom right hand corner. 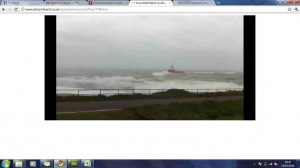 This video footage was taken in Aberdeen near the south breakwater. This 7000 ton ship is trying to make the harbour. 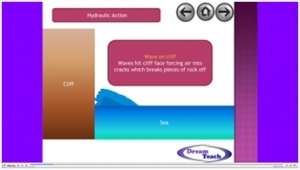 This presentation looks at coastal processes in a simplistic manner, such as weathering, erosion, transportation and deposition. 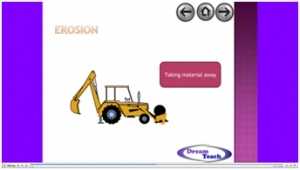 This presentation looks at the four main types of coastal erosion; attrition, hydraulic action, abrasion (corrasion) and corrosion. Click on each slide for animations. 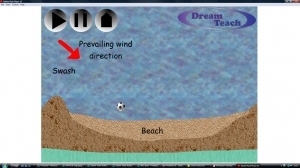 This presentation looks at the effect of fetch on the UK coastline. 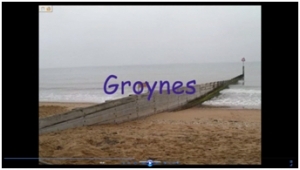 This animation demonstrates the process of longshore drift, showing how it alters coastlines. 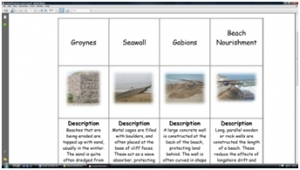 These resources look at landforms shaped by the sea. This presentation focusses on how erosion shapes bays and headlands. 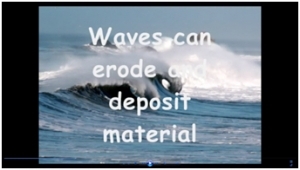 These resources look at landforms shaped by the sea. This presentation gives pupils an excellent visual walk through the development of caves, arches, stacks and stumps. 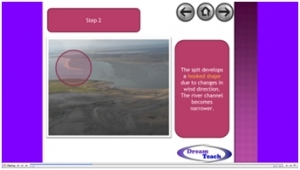 These resources look at landforms shaped by the sea. This worksheet supports the presentation on caves, arches, stacks and stumps. These resources look at landforms shaped by the sea. 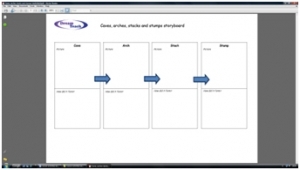 This presentation gives pupils an excellent visual guide in the development of spits. These resources focus on how coasts are used by humans. This is a movie to introduce the issues surrounding the use of coastal areas. To enlarge the movie click on the tab in the bottom right hand corner. These resources focus on how coasts are used by humans. This worksheet accompanies the coastal use movie. These resources look at coastal protection. 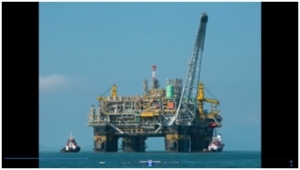 It focuses on different types, their advantages and disadvantages, and the wider issues surrounding coastal protection. This movie introduces coastal protection and the different types that are used. To enlarge.. These resources look at coastal protection. It focuses on different types, their advantages and disadvantages, and the wider issues surrounding coastal protection. Excellent ICT links are found in this resource. Computer access.. These resources look at coastal protection. It focuses on different types, their advantages and disadvantages, and the wider issues surrounding coastal protection. This worksheet requires pupils to use prior knowledge and common sense to match up..